A Texas man has been sentenced to probation after pleading guilty to smuggling two endangered orangutan skulls from Indonesia into the country. Graham Scott Criglow, 39, of Anderson, was sentenced Sept. 7, 2016, in a U.S. District Court for Southern Texas in connection with an intercepted package that contained pongo orangutan skulls and a search of his home that yielded human skulls, according to the Department of Justice. 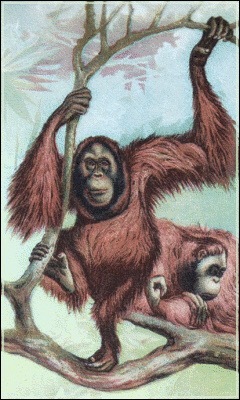 Orangutans are protected under the Endangered Species Act. Criglow is a reptile breeder and owner of Strange Cargo Exotics, an Internet-based wildlife business that dabbles in the trade of poisonous snakes. In April 2016, FWS inspectors at the San Francisco International Airport examined a parcel from Indonesia addressed to Criglow. The parcel lacked an Indonesian customs declaration and was screened using an x-ray machine. The inspectors determined the parcel contained two primate skulls. A morphology examination determined the wildlife was two orangutan skulls. 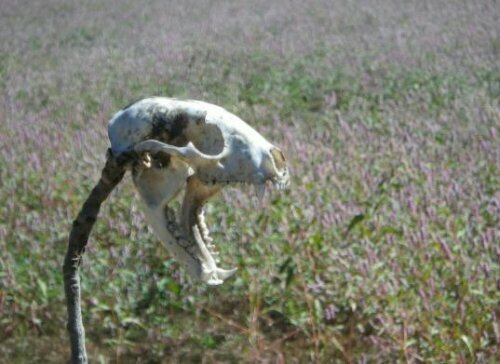 In May 2016, agents conducted a controlled delivery of the skulls at Criglow’s residence and executed a search warrant, at which time agents located several other animal skulls and bones. Authorities also located human remains including approximately 30 human skulls which were found to be legally purchased by Criglow for his personal collection. 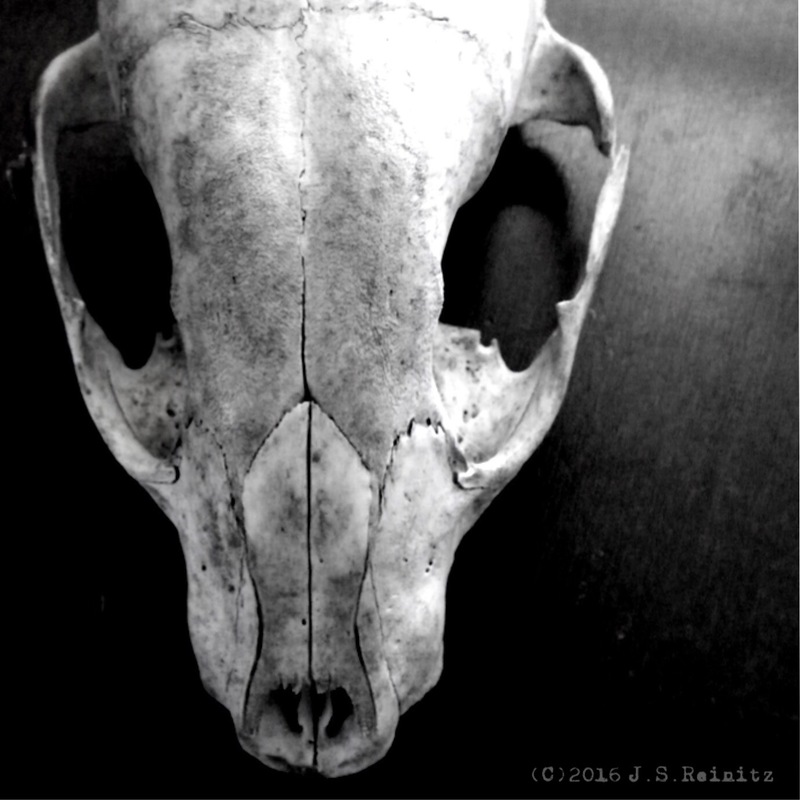 Another shot in my animal skull photo series. 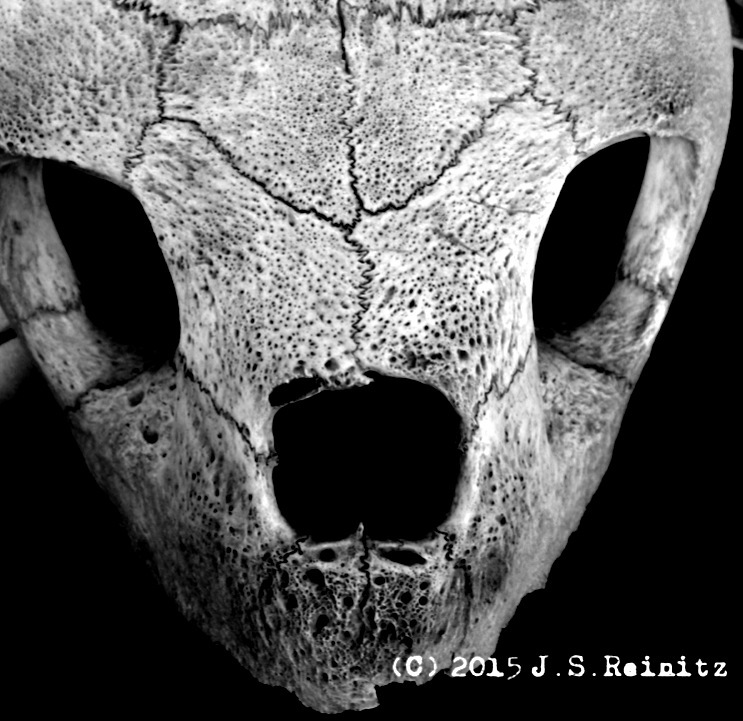 First reader to properly identify this animal skull gets a free book from our prize closet. Submit your answer in the comments section below. Arbiter will be the staff at the nature center holding the specimen. A man has pleaded guilty to whacking a New Jersey bear and trying to pass it off as a New York bear. He even went so far as to haul the entrails to stage a New York hunting scene at Sterling State Forest. On Oct. 5, 2012, Martin Kaszycki, 36, of Ringwood, N.J., killed a 450-pound, male, America black bear from an elevated tree stand, with a bow and arrow, out of hunting season, after setting out bait for the bear within 300 feet of the stand near his place of business in Newfoundland, all in violation of New Jersey state laws. 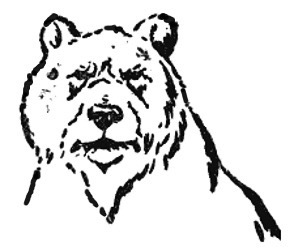 He then drove the bear across state lines to New York, where he falsely told a New York weigh station employee that he had killed the bear in New York’s Sterling State Forest, causing the employee to record the false information on a New York state Bear Data Form. I’m not really sure which is worse, digging up the bones or buying the bones. An Ohio man last week pleaded guilty to purchasing First Nation remains that had been unearthed from a rock shelter, shallow caves dug into the sides of cliffs. A witness described the excavation as large enough to hold a Volkswagen. Also of interest in the case was the use of cradle boarding marks on the remains to help identify the origin, possibly referring to artificial deformations of the skull caused by use of this child carrier. COLUMBUS, OH—Mark M. Beatty, 56, of Wellston, Ohio, pleaded guilty in U.S. District Court to violating the Native American Graves Protection and Repatriation Act by purchasing human remains of Native Americans. The case is the first criminal enforcement of the Native American Graves Protection and Repatriation Act in the Southern District of Ohio. According to court documents, individuals were observed digging in a rock shelter in Salt Creek Valley in Jackson County, Ohio. 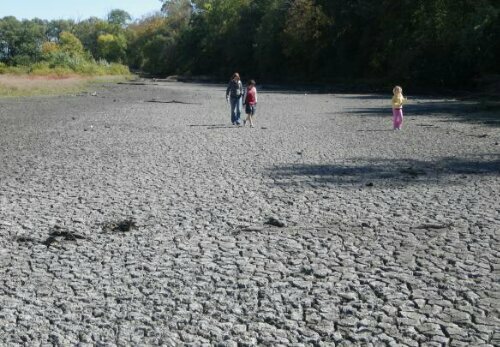 When they were approached, they ran off into the woods and left behind shovels, dirt sifters, buckets and trash. Investigators confirmed that at least two individuals were digging on the property and had dug up human remains. Beatty admitted to purchasing those remains. We decorated the cave Christmas tree the other day, including this newly acquired ornament. Cool swag from the folks at Skull A Day. Happy Skull Appreciation Day — June 4. 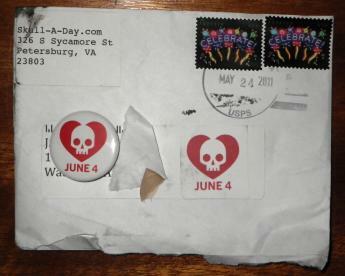 We received a special edition button (pictured above with envelope) from Skull-A-Day, the website that spearheaded Skull Appreciation Day. 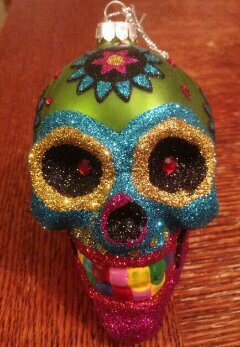 For more info, go to Skull-A-Day.com.